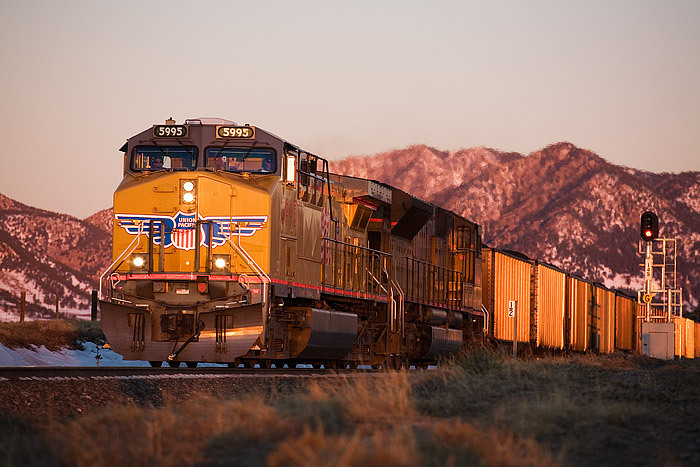 Union Pacific 5995 leads a loaded coal train east on the Moffat Subdivision west of Denver. The train is decending downgrade towards Denver with coal from western Colorado. These rails were once part of the Denver and Rio Grande's Moffat road but are now owned by Union Pacific. Photo © copyright by Thomas Mangan.